In a recent string of tweets, Twitter’s vice president of engineering Ed Ho has acknowledged something we all know – Twitter has a harassment problem and it’s not handling it well. He also promised, however, that this is about to change. According to Ho, “in the days ahead” there will be a number of product tweaks that will include some “long overdue changes” to the site’s mute and block features, as well as new measures that will stop “repeat offenders from creating new accounts”. It seems that making Twitter a safer place for users is a matter of primary importance for the company, with Ho saying it's “moving with more urgency than ever”, and thinking about progress in terms of “days and hours not weeks and months”. Considering Twitter’s character limit, Ho obviously couldn’t go into great detail about what exactly the changes will be, but he did say that some would be more visible than others. He also added that Twitter wants to create a dialogue with its users about the changes; users will be updated when changes are made, but any feedback they provide will be heard. Twitter’s CEO Jack Dorsey reinforced Ho’s promise by retweeting his comments, before adding himself that Twitter would be “taking a completely new approach to abuse”. 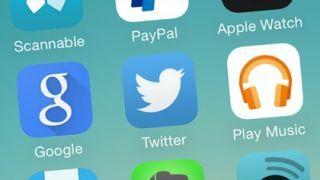 Twitter has attracted a lot of criticism for its lack of a cohesive approach to tackling harassment of its users, so this is something that really had to happen sooner rather than later. Though it’s attempted to make big public gestures in the past by banning controversial accounts, the overall impact of these gestures has been small and they feel empty. It’ll be interesting to see just what steps Twitter takes to protect its users in a more meaningful way, and how quickly they’ll be implemented.